“Foot and mouth disease (FMD) is a disease we never want to see. We haven’t had it [in the United States] for 89 years, and if we did it would really be devastating.” That was the somber message veterinarian Jim Roth, distinguished professor in the College of Veterinary Medicine at Iowa State University (ISU), shared with individuals attending the National Cattlemen’s Beef Association (NCBA) Ag & Food Policy Committee meeting Feb. 2 at the 2018 Cattle Industry Conference in Phoenix, Ariz.
Roth, who is director for ISU’s Center for Food Security and Public Health, added, “But we need to face the facts that we might see it.” In preparation for such an event, Roth underscored the need for finances to fund an extensive FMD vaccine bank. He explained that FMD, while it does not pose a public health or food safety concern, is highly contagious from animal to animal. It is not deadly to the animal, but causes painful lesions on the mouth, feet and teats. If an outbreak were to occur in the United States, it would most surely limit exports. He noted that U.S. beef, pork and dairy exports are valued at about $19 billion annually. Roth further explained that to combat FMD, movement of livestock is typically stopped and infected animals are “stamped out” (killed) to minimize the spread of the disease. With today’s very large herds of cow-calf, dairy cows and sows — some numbering 5,000 to 10,000 — there would be no way to kill that many animals in 24 to 48 hours and get rid of the carcasses, he observed. With the extensive transport that occurs in today’s industry and the fact that animals may shed the FMD virus for a few days before being identified as infected, the virus could spread rapidly. Thus, Roth and other veterinarians and leaders across animal agriculture are advocating for bolstering an FMD vaccine bank to aide U.S. livestock producers should an outbreak occur. Funding to be included in the 2018 Farm Bill is being sought. “We need $150 million per year for five years. That’s a big ask. It’s a lot of money, but if you consider the potential impacts [to the ag industry] it’s not that much,” Roth said. He explained that FMD is a difficult vaccine because 23 strains of the disease exist. “So we have to maintain 23 strains because we don’t know which one would occur,” Roth said. He explained that the goal would be to have enough short-term supply of vaccine on hand for 14 weeks, and in that time, once the strain is identified more vaccine could be produced. Presently, USDA’s Animal and Plant Health Inspection Service (APHIS) manages a small vaccine bank at Plum Island, N.Y., where vaccine antigen concentrate for a limited number of FMD strains is stored — and has a limited shelf-life. In the event of an outbreak, the antigen would need to be shipped to a lab in Europe to be turned into a vaccine and shipped back to the United States. The Plum Island lab is slated to be shuttered in 2021, with most of the research operations moved to Manhattan, Kan.
As that transition occurs, a new and more effective FMD plan is being sought via the next Farm Bill. Specifically, proponents want Congress to authorize annual funding in the farm bill of $150 million for the vaccine bank, $30 million for the National Animal Health Laboratory Network and $70 million, in block grants, for state animal health agencies to enhance their ability to respond to a foreign animal disease emergency. 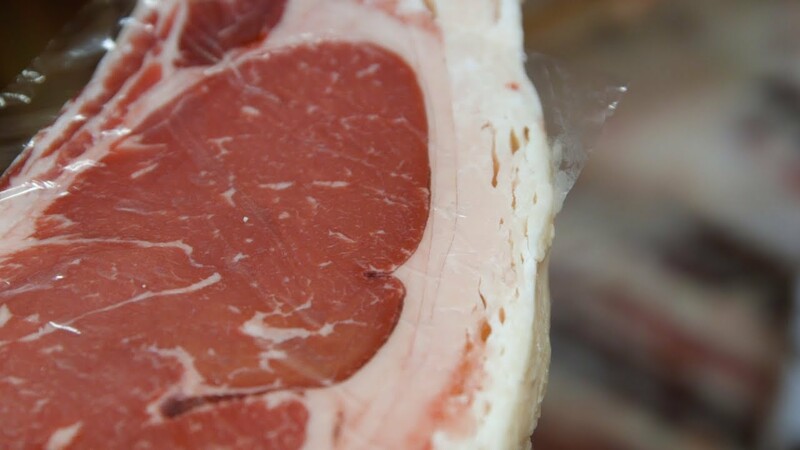 Learn more about what to do in the event of a FMD outbreak at http://securebeef.org/. For more about the need for FMD vaccine, a white paper is available for download at https://lib.dr.iastate.edu/vmpm_reports/8/. Editor’s Note: Kindra Gordon is a freelance writer and cattlewoman from Whitewood, S.D. 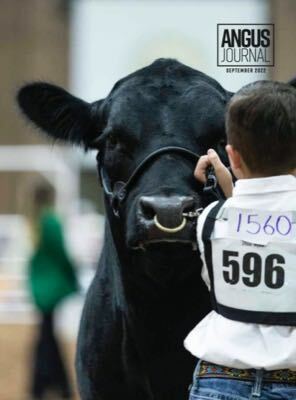 This article was written as part of Angus Media’s coverage of the 2018 Cattle Industry Convention and is copyrighted. See additional coverage distributed through Angus Media channels including the Angus Journal, Angus Beef Bulletin, Angus Beef Bulletin EXTRA, The Angus Report and online at www.angus.org.